I first came across a young American called Larry Warren in the spring of 1983. He was 21 going on 22, living in New England and had just given a statement to authors Larry Fawcett and Barry Greenwood for their forthcoming book about American government UFO documents. This was to be published in 1984 as Clear Intent. Warren was alleging that he was an eyewitness to what are now the infamous Rendlesham Forest encounters from December 1980. He was ex-USAF then based in the UK and had chosen to speak out once back home. In 1983 this was major news, because he was the first military witness to publicly do so. Indeed the case was not yet widely known to the British public and virtually unknown in the USA. The only published references had come from my stories in Flying Saucer Review and a more detailed summer 1982 set of articles in the part-work The Unexplained. This was based on little more than a set of anecdotes collected from villagers in Suffolk by local paranormal researcher Brenda Butler and her friend (and BUFORA member) Dot Street. Pretty well all we knew for certain was that in the few days immediately after Christmas 1980 something strange had been seen in the East Anglian sky, cutting the coast near Lowestoft. Civilians had witnessed it. Watton [radar station] had tracked it disappearing off screen into Rendlesham Forest as it went below radar coverage. Several locals had stories to tell of unusual military activity in the woods and of damage to the trees. However, the British government had constantly rejected all my efforts to get them to admit anything in writing between early 1981 and 1983. As a result much of the British UFO community thought Brenda, Dot and I were mad to keep pressing this case. However, Brenda did have one USAF witness from the twin NATO air bases (Bentwaters and Woodbridge). He had befriended her and knew of her interest in the paranormal. On 6 January 1981 – only ten days or so after the events – he had confided in her about his alleged involvement in the amazing series of events that hid behind those tales of lights in the sky and holes in the forest. This witness has always been a huge problem for me. To this day I have never met ‘Steve Roberts’ - as Brenda insisted we call him in our writings. He talked to Brenda but was reluctant to come forward afterwards, even though he was in Britain for several years. But there are some very interesting things about this mystery man’s story. Roberts told Brenda what he did a full week before Charles Halt penned the now-famous memo to the British MoD about this case. He also gave the date of the first set of events in that conversation as the early hours of 26 December. This conflicted with all later testimony and I only became sure myself that the true date for the first sighting was indeed 26 December years later. One of the key witnesses (John Burroughs) assured me when we, met in Arizona that this was the correct night and Halt simply got his report wrong because he filed it from memory some weeks later. So Steve Roberts initially fed Brenda the correct date – even though (intriguingly) he altered it to 27 December in later conversations. According to Roberts he was one of a security patrol that went out into the forest in response to a UFO that had “crashed” there. Once in the woods he saw a landed craft with strange little child-like beings suspended in beams of light. The overall wing commander – Brigadier General Gordon Williams – was out there in the woods and communicated with these beings using sign language as the USAF guarded the damaged craft. This was eventually repaired by the aliens and took off again.Frankly absurd as this story sounds, it struck a chord with me. When Brenda told it to me she could not have known that it matched precisely the story told to the staff at RAF Watton on Monday 29 December 1980. This was when USAF intelligence officers had visited them. That visit was to take away for study the film of all their radar trackings for the preceding weekend. I still have my notes penned from my first conversation in late January 1981 with that operator at Watton. The radar operator explained how the intelligence officers had described the UFO coming into the forest, the aliens, the contact with the base commander and other details that mirrored the story told to Brenda eight days later and independently by Steve Roberts. But the American intelligence guys also added various other things when talking to Watton. For instance, they told how a commanding officer was taken from a party on base and went into the woods to investigate. His equipment suffered electrical interference but he tape recorded live the encounter with UFOs. All of this evidence was only established as fact years later when Charles Halt became publicly associated with the case. In January 1981 it was as dubious as the aliens talking to Gordon Williams by sign language. When Barry Greenwood first wrote to me in the spring of 1983 he sent me a copy of Larry Warren’s statement. It was obvious that what Warren had to say was a close match to the stories fed to Brenda (via ‘Steve Roberts’) and to me (via Watton radar and USAF intelligence). Warren – to whom Greenwood and Fawcett were ascribing the pseudonym ‘Art Wallace’ because of fears for his safety – had a more graphic account to relate and mentioned no aliens at first. But in essence his tale of the landed craft and the high number of military personnel was consistent. Indeed, not long afterwards Warren added the involvement of little aliens and of the presence of Gordon Williams standing by them. These further enhanced the strangeness of his tale, which included interrogation in some vast underground complex, sighting an “alien” behind some screen, being shown film of the USAF links with aliens and much more that turned his story into possibly the most incredible UFO tale ever placed on record. From the late eighties onward there were stories that Warren was planning a book, but its publication kept getting postponed. It finally appeared in June 1997. Since its publication I have been swamped by requests to comment on this 490-page epic – not only because of my long firsthand association with this case, but because it is generally less than favourably disposed towards my own involvement on the few occasions that it is discussed. The only “rival” book that seems to exist in so far as Warren and Robbins are concerned is Sky Crash – which Brenda Butler, Dot Street and I published in 1984. That has been out of print for a decade so is hardly a threat. Although they express several derogatory remarks bordering on the libellous (even calling it Sky Trash at one point!) there is a remarkable omission. In almost 500 pages there is not one reference by these authors to my own more recent book about this case – From Out f the Blue. This is very odd. They certainly know about it, for it is listed by them in the bibliography (under an incorrect title!). This book was never published in the UK but is hardly unknown in the USA. It was reviewed in depth by the US UFO community and had two editions (a 1991 softback and a 1992 mass market paperback). Whilst biased, of course, I have to say that I find it incredible that anybody could write such a huge text about this case and yet totally ignore the content of one of only two previous books penned about the matter. The total omission of any discussion of the second book (which I regard as far more accurate than Sky Crash for many reasons) is a serious indication of the shortcomings and bias of Left at East Gate. I was asked to write this new book. At first I said no, because I was aware of the coming of Left at East Gate. But I was persuaded that a book reviewing the wider range of evidence was needed and for a tiny sum spent a year putting it together. having now read the book by Warren and Robbins I am very glad that I was talked into this. Whilst there are some things I may have said slightly differently if I had read that book first, there is much that needed to be reported about this case that simply is not in Left at East Gate. the truth or even making it up? Now that I have a very clear view of the case I can look back at Sky Crash in a new light. It is obvious to me that some of it went astray, but we did have quite a bit that was right in there as well. Unfortunately, I suspect we simply did not have the evidence from the key witnesses at that time because they were still in the military.In fact it is a fascinating exercise re-reading Sky Crash in the light of what we now know. One of the key witnesses – John Burroughs (the only man involved on both main nights) – told me in 1989 he had not read the book until then because another witness (I can guess who) told him it was ‘trash’. When he did so he stayed up all night to finish it. He told me he was very surprised to find that the truth was in there mixed with bogus yarns that we had been told by ‘wannabees’ off base who were not involved in the case but wished that they had been. Later Charles Halt told me something similar. Placing Larry Warren’s story into the right slot is far from easy. Is he a genuine witness to a peripheral event, one of these ‘wannabees’ or someone exaggerating the truth or even making it up? From out of the Blue is more accurate than Sky Crash because it was written later with the evidence of more witnesses. I have the chronology more correct in there (although I now know not exactly correct) and the general outline of the two main events is fairly set. But there is much that I now have in more detail and that is why Friend or Foe? puts the case into what I believe to be the true perspective. I leave open precisely how we should slot Warren’s account into the story – largely because his tale does not well match the bulk of the evidence from all the other witnesses with whom I have spoken. Whilst it would be impossible to briefly describe this huge case, here is a summary of what I believe to be the key features. These can then be compared with the story in Larry Warren’s book and its readers can try (as I have had to try) to figure out where he fits in. The scenarios that follow are based on my conversations with about half a dozen key military and a similar number of key civilian witnesses. There were more people involved that I have not talked with, but my sources include two of the four USAF personnel who saw the UFO on night one, for example, and are, I believe, sufficient to be reasonably certain that I now have a picture very close to what took place. From 9.08 p.m. on 25 December to 3 a.m. on 26 December 1980 numerous light phenomena appeared over East Anglia. All of these events are related in my view. There were various civilian witnesses. Between 2 and 3 a.m. the main military encounter occurred outside Woodbridge. There were four military witnesses and I know the names of them all. Two of these four went into the forest and encountered a UFO just above the ground. I have spoken with them both. The UFO was tracked on radar by several sites and seen on departure. The men were disorientated and a search was mounted after radio contact was lost on base. There is a possibility of a time lapse. NO aliens were seen, but the UFO was extraordinary and distorted space and time as well as swamping the forest with an electrical field. Early on 26 December the British police visited the traces found in the forest. Infra-red radiation was detected by an A-10 sent on an over-flight. The official investigation began. There may have been sightings that night, but I have not talked to any witnesses (unless Warren is one).On Saturday 27 December an officers’ party at Woody’s was interrupted by the return of the UFOs, as reported by night security chief Lt Bruce Englund. Colonel Halt was charged with the responsibility to go into the forest and sort things out because the commander (Ted Conrad) ordered him to do so. He took Englund, Greg Nevells (from the disaster preparedness team) and several others. John Burroughs – one of the two key witnesses from the first sighting – went out there too. He had haunted the woods all weekend convinced the UFO would return. Halt took light-alls and a tape recorder to gather notes more easily because it was windy. They took samples and photographs of the traces but the lights seen that night had now gone. UFOs returned at 1.48 a.m. and 90 minutes followed during which Halt and his team chased them through the forest. These included ‘laser beams’ beamed towards the ground – including into the secured area on the base. Again no aliens were seen and no solid craft – just amazing light phenomena. Where Warren was (along with the witnesses that he cites in his support) is not clear from any statements given to me by the witnesses that I have encountered. They all say he was not with them and some are doubtful he was out there at all. Halt, for instance, notes that Warren could not have been on duty after only three weeks on base because it was a NATO regulation that a six-week training course be followed before this status was approved. Halt told me he has seen the records that confirm this, but Warren publishes contrary reports in his book which appear to refute Halt’s claim. This is a huge impasse. In Left at East Gate Warren quotes Halt as expressing doubts about his story. Halt has had similar things to say to me. He told me that before reading the book he knew Warren was not involved with him on the night of 27/28 December, nor on duty. But he gave him the benefit of the doubt and thought he might have been there on the less well known third night. However, after reading the book the Colonel says it is clear that Warren is alleging that he was there on the same night as Halt. This he struggles to accommodate. I have preferred to build my outline of what occurred around the testimony of those witnesses who all tell me a consistent story. Halt says that this is his primary concern as well. He and these men know they saw fantastic things. It is hard enough living with that in the military and trying to be believed. 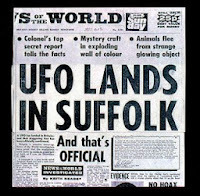 Halt, Burroughs, Penniston (in my view the three crucial witnesses to this case) are all adamant that there were no aliens, that the craft was less solid than some media yarns profess and that Brigadier General Gordon Williams was definitely not there. “If he had been it would have changed everything,” John Burroughs told me. Halt adds that he talked to Williams afterwards and he was as keen as anyone to discover what happened. He acted in no way like a witness. Halt knows this man was not anywhere near the base at the time, he argues. Left at East Gate is a strange book. I con understand why people unfamiliar with the case will be awed by it, because Warren and Robbins tell a fantastic tale that is just what people want to hear. It is exactly what you would expect to be turned into a movie. But will this benefit ufology?The big question is why the three initial sources of information – Steve Roberts, Watton radar and Larry Warren all provide the more fantastic version of events. My guess has always been that Roberts fed his line to a paranormal enthusiast hoping that a wild version of the truth would kill off any immediate serious attention from people who mattered. Ufologists are not people who matter since they are generally only listened to by other ufologists and tabloid newspapers. The staff at Watton would – in my estimation – never have been told about aliens communicating with a wing commander whilst repairing their craft if this had really happened. They had absolutely no need to know and the radar film could have been taken from them on any pretext. To be told this was to me a dead giveaway that this story was disinformation. Of course, when Warren came forward the only military versions of the case on record (thanks to me!) were those from Roberts and Watton. Warren says he had not read them, but Barry Greenwood had. That’s how he recognised Warren’s story and why he wrote to me. You could – I guess – suggest that Warren saw the tales from Roberts and Watton and decided that his version would have to match them to be believed. He utterly refutes that and we must accept his word. But his account did match Roberts’s account – an account that I now consider discredited. All the other versions I have have heard since follow a different – less ‘extraterrestrial’ – path. This leaves me with a real problem evaluating Warren’s story today. Whilst I must judge the conflicting claims of Warren and the others without knowing who is right and who is wrong, that is not the case with some other aspects of Left at East Gate. For there are things in there which I can definitely refute from my first-hand perspective.For example, he makes the fantastic allegation (p. 128) that “two of the Sky Crash authors were affiliated with Britain’s anti-nuclear movement”. This ties in with his disbelief at our idea that the story about aliens might be disinformation to hide an accident with a nuclear weapon. Later the authors add (p.217) “Randles chooses to state and reiterate this theory and I could only speculate as to why”. The clear impression gained from passages such as these is that I was in league with CND to use the Rendlesham case for some obscure purpose. That is outright rubbish. I can state assuredly that I am not – and have never been – associated with the anti-nuclear movement in even the most minor of ways. I cannot say whether this is true of Brenda or Dot, but in all the years I have known them it has never once come up in conversation and certainly had no role to play in the writing of Sky Crash. I wrote that book – turning my own knowledge and reams of hand-written notes from my colleagues into some sort of sense. If what they had written was influenced by anti-nuclear views I would have seen it and reported it. But there was never any trace of that. Besides which, as Warren notes in his second quote above, the nuclear mishap theory was mine – nobody else’s – and was referenced by me on several occasions between 1981 and 1984 (e.g. a comment in OMNI magazine which is also discussed in Left at East Gate). This is firmly attributed to me personally. My reasons for theorising along these lines were simple, yet at no time has Warren or Robbins ever asked me about them (as they have not asked me to confirm their ridiculous CND story). Firstly, we had been told by numerous sources that by 1983 there were nuclear weapons on the base. This was emphatically denied by the USAF. That denial was a lie. More than ten years later (after the cessation of the Cold War and the closure of Bentwaters-Woodbridge) the truth emerged. This had indeed been one of the biggest nuclear stores in the UK. This amply demonstrates my feeling at the time that – with the huge public outcry over bringing Cruise missiles into Europe – it might have seemed appropriate to cover up an accident by creating a diversionary story so ludicrous nobody would be-lieve it. There had in fact been a near disaster in 1956 at a USAF base nearby when a store of weapons caught fire after a plane crash. the fact that nuclear weapons were at risk was denied for decades but finally admitted years later on retirement of one of the key players in the cover up. Nuclear bombs at risk are less likely to explode that to have their casings crack and leak radiation. This fitted the scenario in the forest as well. When I developed this theory there were no public revelations from any of the military eyewitnesses – just the dubious saga fed out to Watton and Brenda Butler that smelled to me exactly like disinformation. But if UFOs were disinformation then what was this story trying to hide? Moreover, forestry workers told me that they had heard about a “plane crash” from staff on the base and local man Ron Gladwell had told us about finding a crater in the forest indicating that something had fallen from the sky and hit the ground with a thump. Base staff were evidently filling this in. In Left at East Gate (p.216) Warren and Robbins use the fact that nobody supposedly saw a crater in the forest to denounce our ‘silly’ theory of a plane dropping a bomb. Evidently they missed Gladwell’s story even though it is in both Sky Crash and From out of the Blue. I submit that – right or wrong – this idea about a nuclear accident was a wholly legitimate speculation to make in 1983 based on these incidents (plus the various signs of mild radiation being present in the forest). It is not a theory that I adhere to today, having now had the chance to hear the detailed stories of witnesses like John Burroughs and Jim Penniston. They got within a few feet of the UFO on the first night and it was no discarded bomb. But it was wholly appropriate to bring this idea into the debate at the time to show the problems with the evidence fed out to the UFO community. There is also a series of claims about how Barry Greenwood sent me the Halt memo secured by CAUS in the USA. This was obtained wholly thanks to Warren, he says. Yet wicked Brenda and Dot (I don’t feature in this one – ironically – as you will see in a moment) – “sold the Halt document to the News of the World for £2000 – nearly five grand here… After that we broke off all contact with them”. (p.102). Well, here are the facts. Barry Greenwood sent me the Halt memo and in exchange I sent him my letter from the MoD received a few weeks earlier and dated 13 April 1983. This was some weeks before the USAF admitted there was a case and it was used by CAUS to help in their quest for documents. The MoD document admitted for the first time anywhere that there was an incident in Rendlesham Forest and that “no explanation” had been found for it. Far from one-way traffic we exchanged data. I have maintained a correspondence with Barry ever since and we had dinner together when I was in Boston a year or two ago. Brenda, Dot and I were given permission to use the document as we saw fit to press for the truth andI also was happy for them to use my MoD letter in whatever way they wished. What we did was to take it to the MoD in London and confront them directly with a file they had been denying to me (despite at least three written requests). 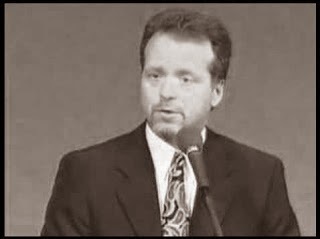 I also set up a seminar at the next BUFORA conference to present the evidence to the UFO community (including Allen Hynek and many others). This basically let Brenda and Dot have their day after two years of ridicule from the UFO community chasing “the case that never was”. As a result of that seminar – attended it seems by a journalist incognito – the media discovered the existence of the memo and decided to go public. Harry Harris, a well-known figure in UFO circles, persuaded Brenda and Dot that the best option was to negotiate a deal with the paper keeping control of the story as otherwise they would print a garbled version of the truth picked up from the UFO community rumour mill. I agreed to go with Harry to the News of the World and brief them on the case. That is how the story on the front page of the News of the World in October 1983 came about. Nor was this story sold for £2000. It was a lot more than that. But this money went to many people who were paid for their information on many subjects given to the paper. To my knowledge the document itself was not sold, since it was obviously not anyone’s to sell. I do know that the money Brenda and Dot received (a fraction of the overall sum the paper paid) was used by them to fund further research into this case. Over the years they – and I – have spent far more than any of us have ever got back. In this instance I see nothing wrong in what we did. It was the only way to keep control of the story. In any case, the Halt memo was released by the MoD once they realised the document was in the public domain. That occurred when I showed it to them in Whitehall two months before the News of the World story ever ran. Consequently, many ufologists wrote to the MoD and were sent their own copies quite freely. It is disgraceful that these authors have painted a picture of Brenda and Dot cheating American ufologists. I was just as ‘guilty’ and so was Harry Harris. But I bet they would not dare challenge him! The truth is this was an inexcusable misreport as to what really took place. Something similar is seen on page 133 where Warren infers he gave the Halt audio tape to the American UFO community after getting it from a Japanese man who had been sold it by the British researchers for a large sum of money. I do not know if the tape was ever “sold to Japan” but I do know that I got a copy many months before this date that Warren here cites. Almost the first thing I did was to freely send a copy to Ray Boeche and MUFON in the USA – who will confirm that to anyone. Interestingly, the reader of Left at East Gate is left with the idea hanging that I could not answer the challenge so I simply ran away and that was the end of the matter. The conference involved was in June 1987 in Washington, I believe. It is never clear because Warren’s chronology in the book can be out by months or years. I did find myself wondering how accurate were his records or his checks into the past if he cannot date MUFON conferences when these must presumably be well documented.What I do recall of Washington is being briefly introduced to Warren as I was rushing off to do a lecture and saying “hello” and promising to speak later. Which we did. In fact, I have had several meetings with Warren and have some on video tape. At none of them has he ever asked the questions I evidently ran from being asked at this conference nor has he sought to clarify any of the points he got so fundamentally wrong about my role in this case. Warren never makes clear to his readers that after I “fled” in terror we have had such productive conversations. Why? Whatever his reasons it is not justifiable that he should lead his readers into a false impression of this situation. There is much else I could say – for example, his claim that Dot Street’s interviews with him were grossly misreported in the book. What he may not know is that Dot taped these interviews and so his words from those early 1983 conversations are – it would seem – not the invention of Sky Crash as he alleges. If he believes otherwise he must presumably now charge Dot with faking these tapes. But why would she do it, since she was on very friendly terms with Warren at the time, as he admits in the book? Other things that bothered me include the dating of Warren’s encounter. I am as certain as I can be that the second night, when Halt was out there with a tape recorder, was the Saturday-Sunday 27-28 December. Warren has it here as the following night but says that he spent the prior afternoon in an Ipswich music store. I did find myself wondering whether Sunday opening of a small store would have been the practice – although the post-Christmas sales might have been a factor. Shops in 1980 were certainly open much less often on a Sunday than they are today. There is also a curious attempt in the book to suggest that parts of Rendlesham Forest were flattened in 1987 as a result of not a hurricane (as most of us recall) but some sort of Orgone energy experiment. This seems to be building on Andy Collins’s fantastic scenario as to the true origin of that fabled storm which he perceived as being due to a black magician (although curiously Collins followed that book with an attempt to link Orgone energy to UFOs and crop circles). All I will note is that to my recall the hurricane devastated large parts of southern England – not just Rendlesham Forest. There are also several worrying errors in the text. Some of these (Major Dury several times instead of Drury) might be typographical. Others seem not – e.g. Oxford lighthouse (not Orford) – or even more hilariously – RAF Bodzy (when it is in fact RAF Bawdsey – as a glance at any map of the area would show). These to me represent both sloppiness and the real failing of this book. If the lighthouse explanation for this case were discussed (it is merely dismissed in passing) errors such as this would be unlikely. 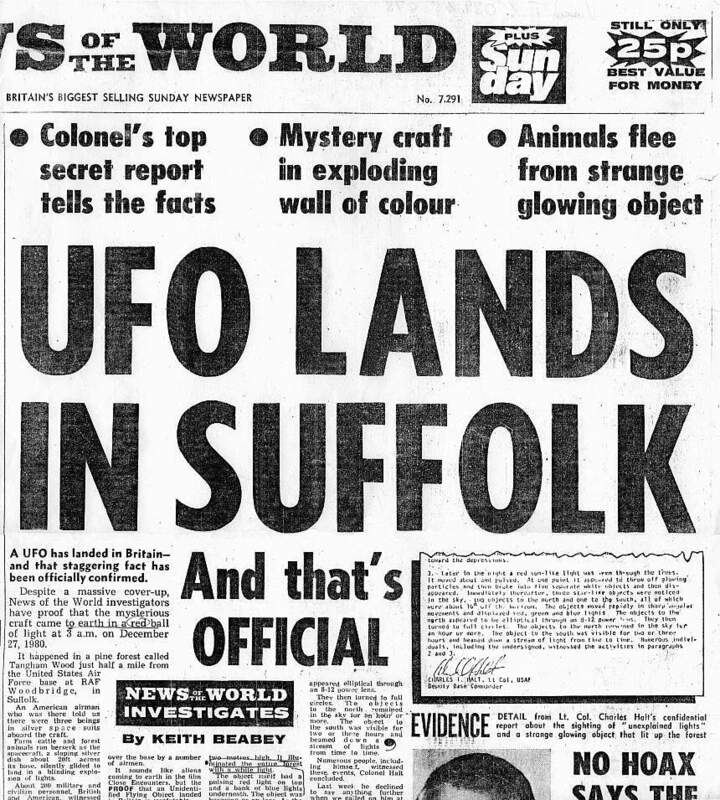 If the strange goings on at Orford Ness and at RAF Bawdsey were debated (as they ought to be since they are relevant to the case) the background to these places would presumably have been researched. This is the problem; key theories tied to the case are not refuted by evidence. As with my nuclear weapons idea they are merely sneered at or ignored altogether. I assume that we are meant to believe that this was a bona fide alien contact – although with mind warping by the NSA, the Orgone energy excursion and one or two rambling diversions on the way I am not as clear on that as I should be. What exactly does Larry Warren believe happened on that night? After almost 500 pages I am not certain that I understand.Larry Warren’s story is either truth or fiction or – possibly – something in between the two. He even speculates himself about his memory being altered by secret service interrogations. The sad thing is that Left at East Gate does not really help us to make an easy decision as to which is the most likely of these possibilities. Each option is also fraught with serious ramifications for the rest of the case. I remain convinced that there is a significant close encounter at the heart of the Rendlesham Forest case. But I am far from convinced that any aliens were floating in light beams beneath a starship. And I am as sure as I can be that other – non-UFO – factors enter deeply into the equation as part of a remarkable set of events. 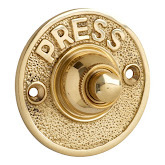 The real key to this story does indeed lie on Orford Ness but not in the lighthouse. I was mostly saddened by this book because it promised much and delivered little. I ended up more confused than when I read the first page. If I only ever had the chance to read this book on the incident I would probably agree with most people that this case is a load of nonsense. I can see why people would jump to that conclusion. Unfortunately, they would be very wrong to do so. Larry Warren and Peter Roberts, Left at East Gate, Michael O’Mara, 1997. Jenny Randles, Dot Street and Brenda Butler, Sky Crash, a Cosmic Conspiracy. Neville Spearman, 1984. This article refuting many of the claims made in Larry Warren’s book Left at East Gate, appeared in Magonia 61, November 1997. It may not represent Jenny Randles’ current thinking on the Rendlesham affair.